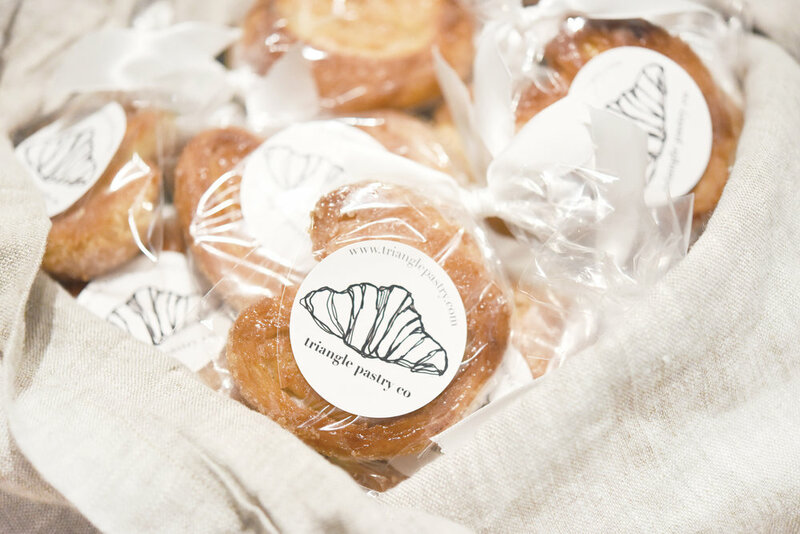 Party Party — Triangle Pastry Co.
Our individually packaged palmiers were given out as VIP party favors. If you follow along on Triangle Pastry social media, you might have noticed that we contributed party favors for the Planned Parenthood event at the Cookery a couple of weeks ago. Shortly thereafter, two completely unrelated people put a bug in my brain by saying they think my brand is perfectly positioned as a unique upscale bakery that would be an excellent match for weddings and events. I had to think about it for a while. I do have some experience with weddings as a photographer, so I kind of know a bit about the industry and how things work. And I have been involved in the production of desserts for weddings and large corporate events at several previous jobs. Plus, I had so much fun making the favors for the PP Choice Affairs dance party. 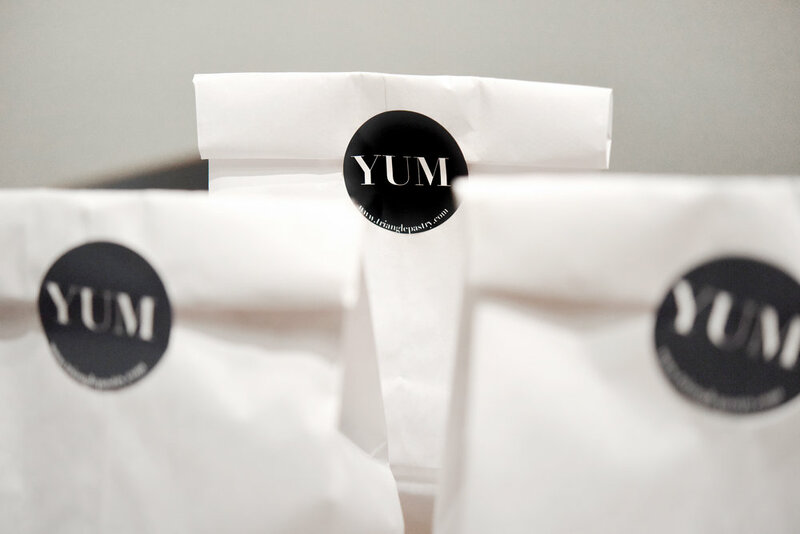 Pastry orders packaged for an event.